Traditions are very important to our family—they’re a fun way to build excitement and memories together, especially with two kids in the house. One of our more recent traditions involves seeing all the new Star Wars movies when they come out, including the newest release—Solo: A Star Wars Story. Even people who aren’t a fan of Star Wars know the character Han Solo, one of the most famous heroes in pop culture. He’s a smuggler by trade and is often characterized as a sarcastic and reckless outlaw and pilot. His decisions are usually high risk/high reward in nature, meaning that he causes quite a bit of discomfort to those around him. Han Solo makes a decision to flee the Empire by flying into an asteroid field in the second film in the original trilogy. It’s a highly risky move, with few odds of success. This doesn’t go unnoticed by C-3PO, the humanoid robot. Of course, despite the odds, he pulls it off, because, well … it’s tough to advance the story line if many of the main characters die halfway through the movie. This approach seems to work fine for a fictional character, but it doesn’t work so well when it comes to investing. To make sound investment decisions, you have to put emotions aside and evaluate the odds for a successful investment outcome. 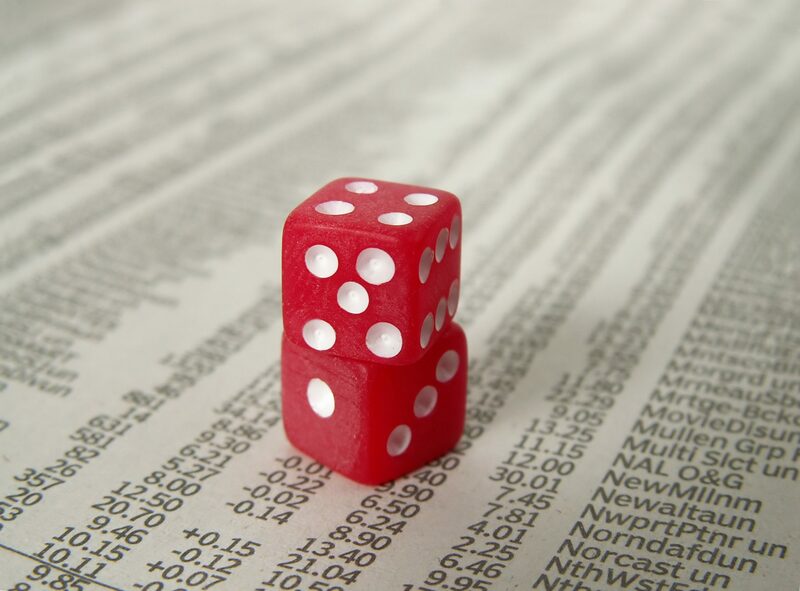 Uncertainty never goes away, so in investing you have to balance risks with potential reward and understand how likely certain decisions are likely to play out. Unlike Han Solo, I always want to know the odds because that helps me make more informed decisions. Here at TRPG, we build diversified portfolios for our clients using many different types of investments. We know we’re fighting the odds as we try to consistently predict which investments will perform the best year to year. But, we also know that diversification presents the ability to participate in gains whenever and wherever they occur, and it also reduces risk compared to more concentrated strategies. Diversification improves your odds of holding the best performers. The odds also suggest that lower-cost funds tend to outperform higher-cost funds. Fees eat into a fund’s return, giving low-cost funds a leg up on the competition. This is one of the reasons why many mutual fund managers underperform cheaper, more broadly invested funds. Most of the portfolios we use at TRPG have total fund expenses of less than 0.25%, significantly lower than the national average. Financial markets have rewarded investors who maintained a long-term approach. Stocks go up and down in the short term, but the likelihood for positive returns increases the longer you’re invested. Daily market news and fearful headlines can challenge your investment discipline. Paying attention to this type of “advice” that often litters financial media outlets can cause anxiety or tempt you to chase the latest investment fad. By understanding the odds when it comes to investing and keeping a long-term focus, you’ll be more likely to have a better investing experience and ultimately achieve your financial goals.